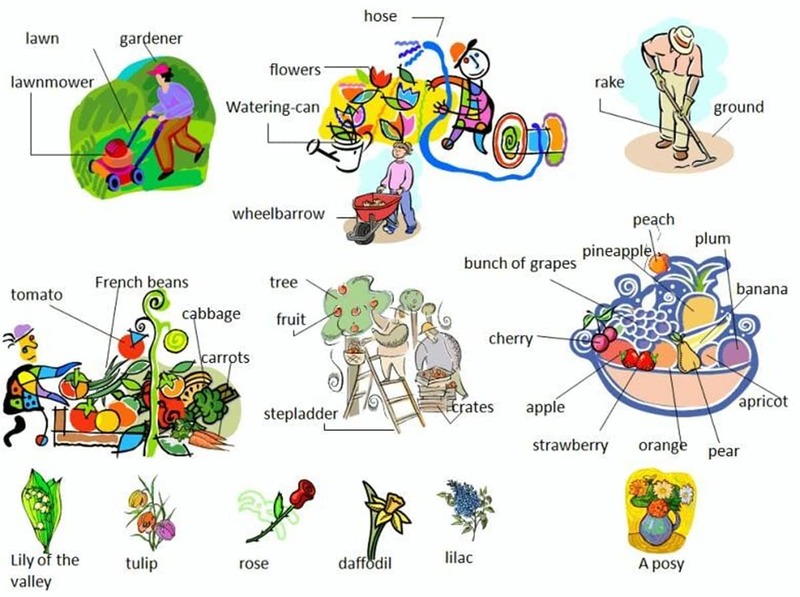 Learn in the garden vocabulary, Gardening tools, Gardening verbs. a bud: the structure on a plant that encloses an undeveloped flower or leaf. a leaf: a flat green structure attached to a plant. a seed: the grain part of the plant that is put in the ground in order to grow a new plant. soil/dirt: the top layer of the earth surface, often brown in color, where plants are grown. sprouts: the first signs of a plant growing of of the dirt before leaves are formed. weeds: wild plants that are not wanted in a garden. Gardening is the activity of growing and maintaining the garden. This work is done by an amateur or professional gardener. 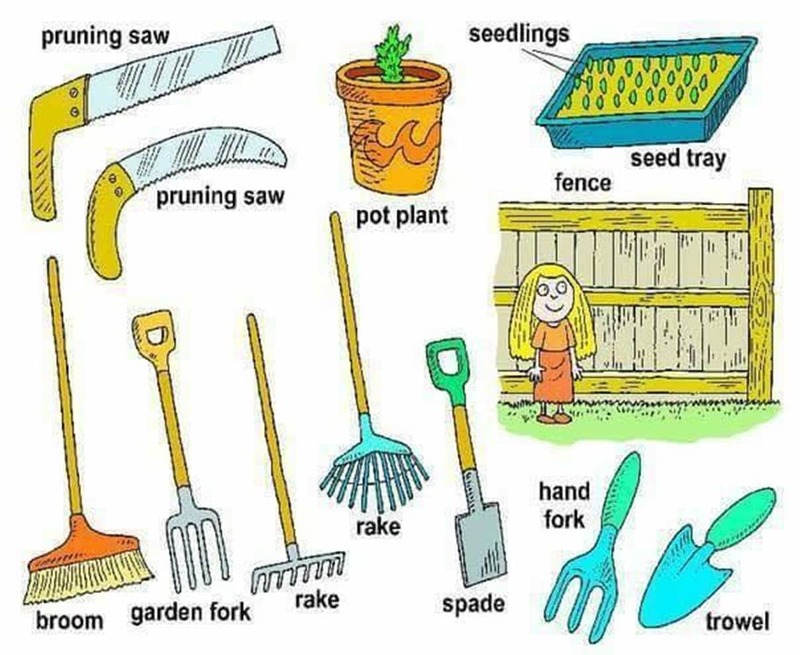 Objects used to support gardening are called gardening tools. 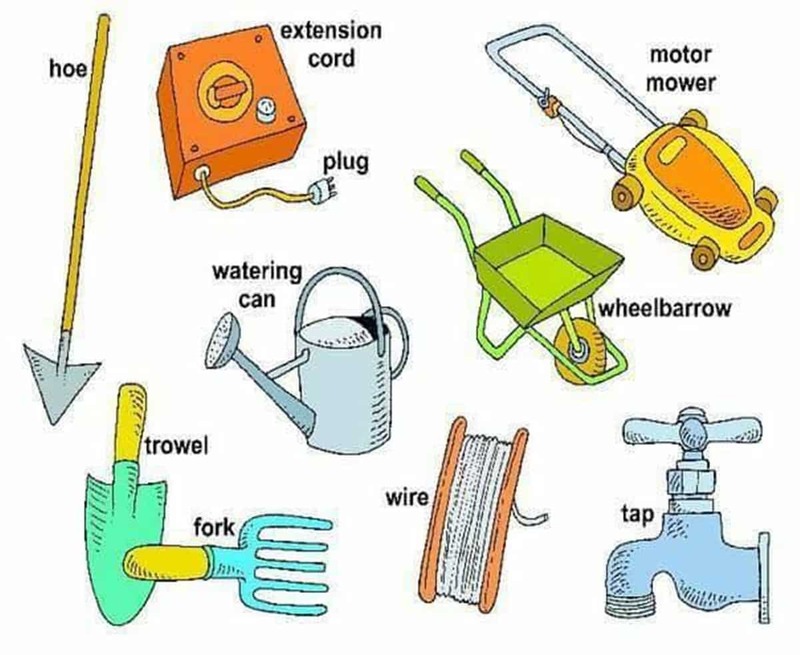 Garden tools can also be hand tools and power tools. a wheelbarrow: a one or two-wheeled cart with handles at the back, used to move small loads that are difficult or too heavy to carry by hand. What do people often do in the garden?